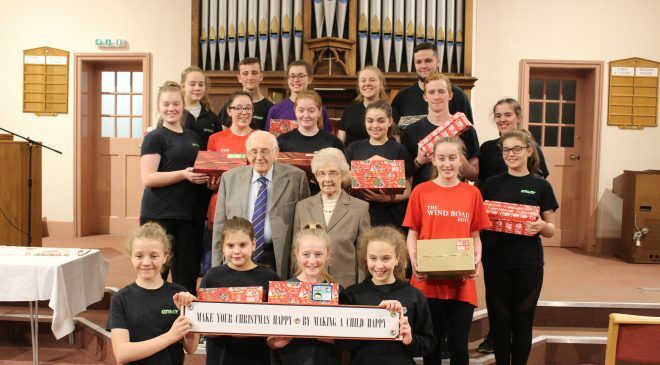 On Sunday 19th November, members of our upper school once again volunteered their time to aid the Ferryhill Methodist Church congregation with their shoe box appeal. This appeal ensures that young people who may be living in disadvantaged circumstances all around the world receive a gift at Christmas time. 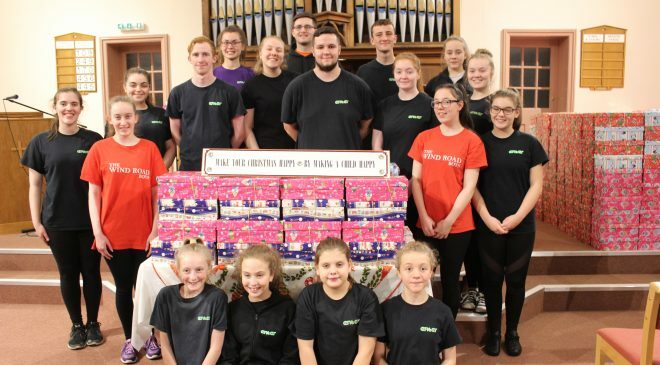 After a full day of rehearsals and workshops, our students made their way up to the Methodist Church and helped the congregation transport the shoe boxes into the vehicles waiting outside the church. In record time we managed to move nearly one thousand shoe boxes filled with Christmas treats from the Church into the vehicle. This was the sixth year that Enter CIC has helped with this initiative and it has become a permanent fixture in our calendar. Well done to Ferryhill Methodist Chapel who once again collected nearly one thousand shoeboxes. We are proud to support such an inspirational congregation who work tirelessly year round to ensure that they can spread Christmas cheer to children far and wide. A wonderful evening with a lovely atmosphere.